The head of the financial regulator on Wednesday dismissed concerns about a controversial spin-off plan by the South Korean unit of General Motors Co., saying that the move is not a prerequisite for GM to shut down its manufacturing facilities here. Choi Jong-ku, chairman of the Financial Services Commission, made the remarks a day after the state-run Korea Development Bank, the second-largest shareholder of GM Korea Co., decided to support the carmaker's plan to spin off its research unit. Under the plan, GM Korea will set up a new entity that will handle automotive engineering and design, while the parent will focus on manufacturing and sales. 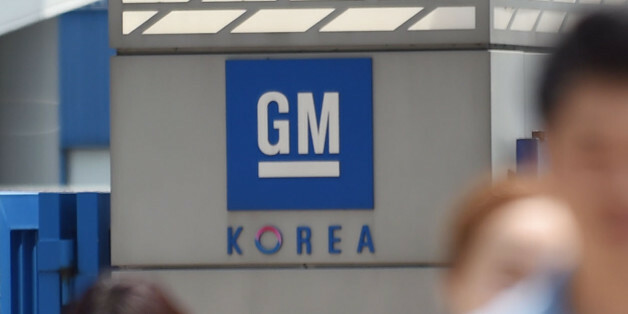 The plan has been fiercely opposed by GM Korea's unionized workers and some politicians who claim that GM may keep only its research facility in South Korea and eventually shut down its manufacturing facilities here. Citing the closure of GM's plant in Australia, where the carmaker did not spin off a research unit before shutting down a manufacturing line in 2017, Choi told reporters, "The spin-off of a research and development unit does not necessarily mean a closure." Although GM's Chinese unit set up a separate research unit, the carmaker has not shut down its production lines in China, Choi said. If completed, the spin-off plan would help GM Korea build more cars and improve its profits, Choi claimed. The KDB and GM signed a deal in May on the rescue package for GM Korea. Under the agreement, the KDB pledged to inject $750 million, while GM agreed to provide $3.6 billion in fresh loans to keep GM Korea afloat.